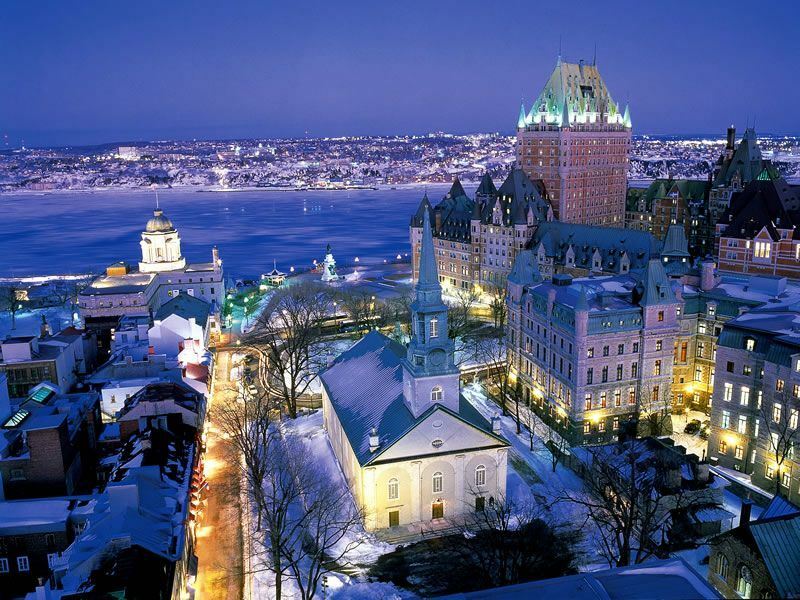 Quebec City offers an experience unlike any other in North America. As well as looking forward to exploring it's characterful neighbourhoods and impressive highlights, prepare to indulge in the incredible cuisine and delicious beverages that’s led it to be crowned as one of the world’s greatest food cities. While poutine, cheese curds and French fries with gravy are all popular choices here, Quebec City offers a whole lot more; so much, in fact, that your appetite may not ever let you leave. While there are lots of fantastic dishes on offer, cooked to perfection in the plentiful array dining venues, bartenders creating delicious hand-crafted cocktails and so on, we have chosen a selection of some of our favourite options for those who are travelling to the city for a short break. 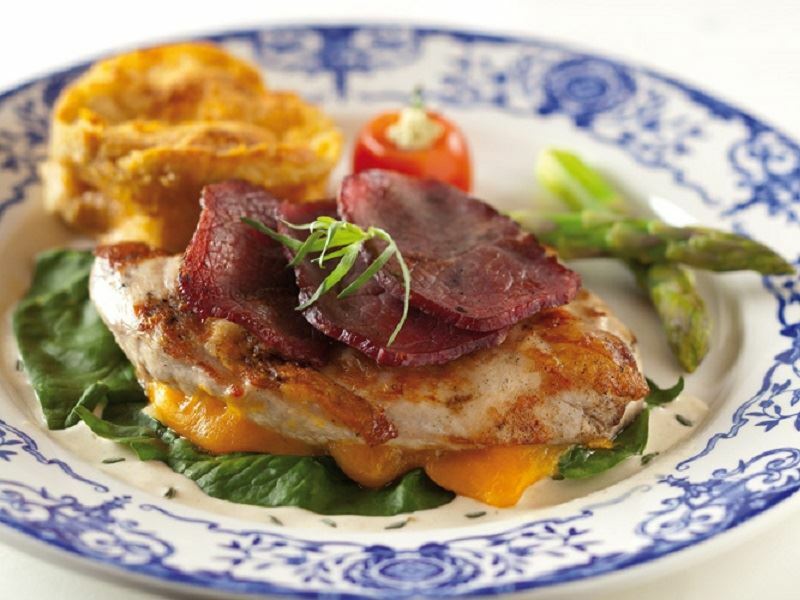 Chez Muffy is the in-house restaurant of Auberge Saint-Antoine, a French-Canadian farmhouse-inspired eatery. 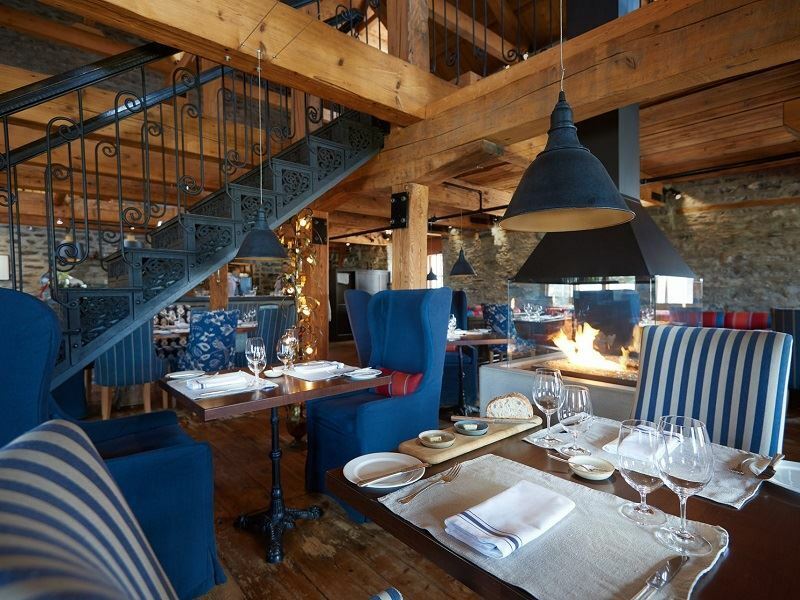 It sits within a refurbished maritime warehouse with natural stone walls and wooden beams, and dates back to 1822. Located along the Saint Lawrence River, it sources much of its produce from its own farm, which diners can view from the window tables. Local fishermen, farmers and other producers supply many of its other ingredients for dishes that offer a modern twist on local specialties like foie gras with quince slices cooked in wine along with vegetarian delights like squash lasagna with goat cheese. 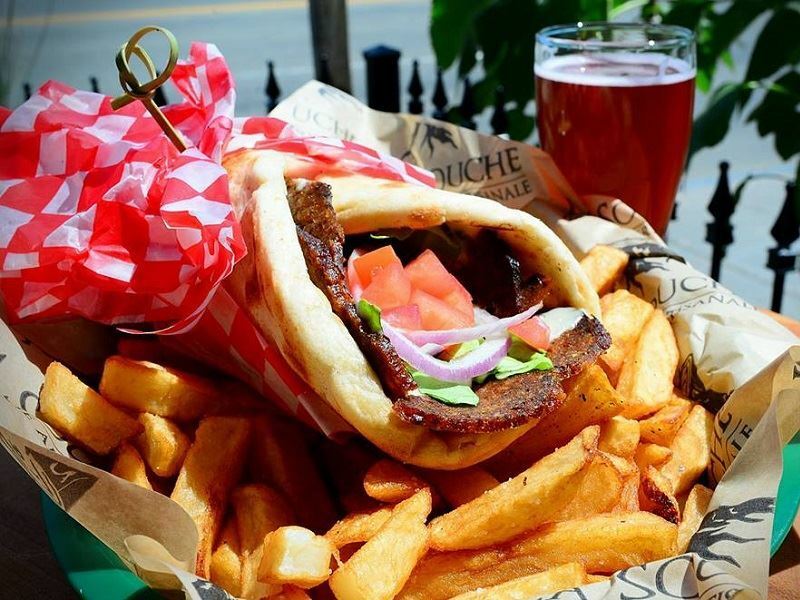 For authentic Quebecois fare, aux Anciens Candadiens is the place to go. Situated in the province’s oldest house, the 1675 structure includes five dining rooms, all decorated with beautiful antiques and collectors’ items, and poutine and meat pie are always on the menu. Incredibly tasty dishes like bison cooked with a creamy blueberry wine sauce and braised Quebec lamb with fresh herbs can be enjoyed here as well. If it’s the best poutine you’re after, Le Chic Shack is one of the first names that comes to mind when asking locals where to find it. This Quebec classic is even taken up a notch, with the potatoes mashed before frying, followed by the signature gravy, fresh herbs and local cheese. Le Saint-Amour is a leader when it comes to fine dining, helmed by French master chef and one-time chef of the year in Quebec, Jean-Luc Boulay. 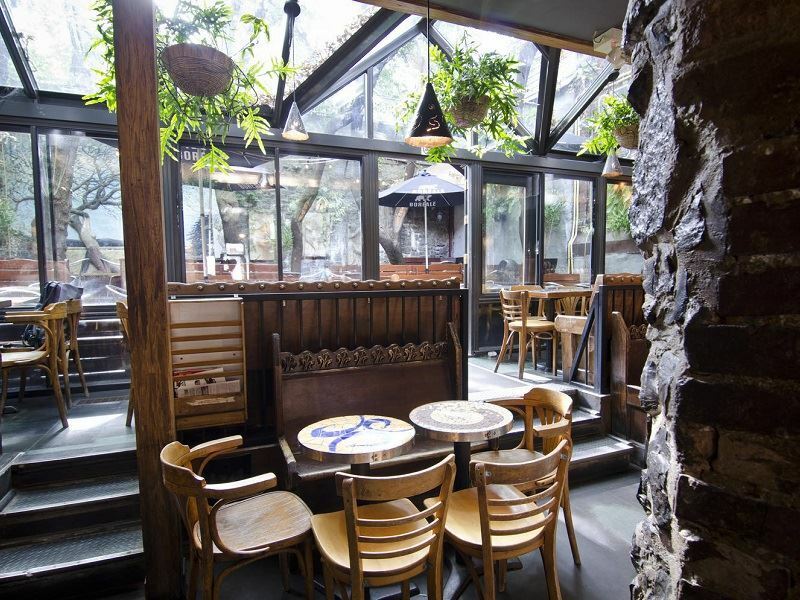 Housed within a gorgeous building on Rue Sainte-Ursule, the garden room makes for an especially impressive setting for dining with its fabulous greenhouse vibe, complete with colourful paintings, a ficus tree and lush greenery. Foie gras is the specialty but the game dishes are also popular with items like grilled caribou steak with wild berry and peppercorn sauce. If you only have one night in Quebec City, dinner at Restaurant Legende is a must. Named one of Canada’s best new restaurant in 2014, it’s become a local favourite thanks to Chef Emile Tremblay’s passion for local ingredients, and those that produce them. The menu changes with the season, ensuring that only the freshest local ingredients are used. Monkfish, elk carpaccio, pan-seared scallops and Cornish hen breast are just a few of the popular offerings. While Quebec City is very peaceful, there’s lots of fun to be had after dark. Whether you’re looking to enjoy a drink or two in a laid-back, cosy environment, a more elegant, upscale atmosphere or something in between, its nightlife offers it all. For a look at the more authentic side of the city after dark, do what many of the locals do and head to Le Sacrilege. You’ll feel like one of the regulars in this welcoming and relaxed small space where drinks are cheap and service is especially friendly. On a warm summer night, look forward to kicking back on the inner courtyard terrace that’s been called the best terrace in town. On any given night you may be able to catch a live performance, enjoy DJ sets, browse art exhibitions, or cheer on the Montreal Canadiens. Another bar that’s often filled with locals, Le Pape Georges is the place many go to unwind for many after a long day. 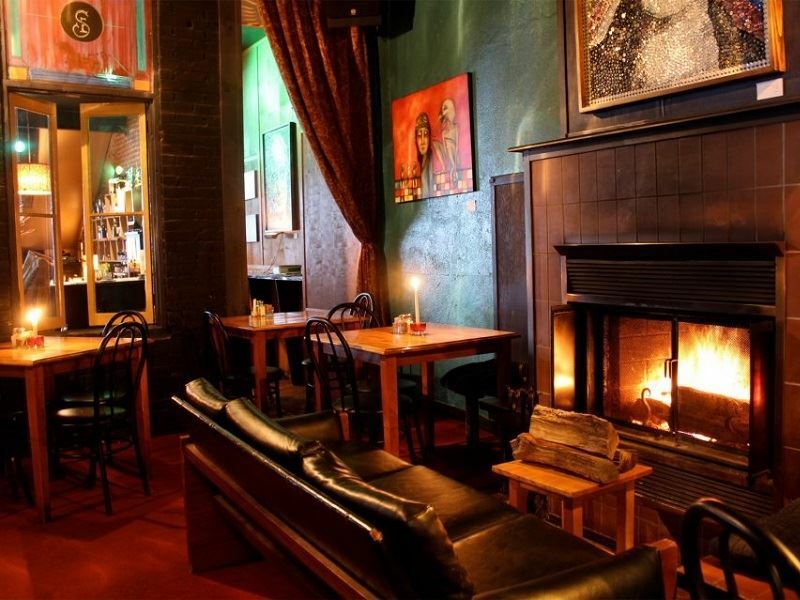 Set within a 17th century building, it has a dark yet warm, comfortable pub atmosphere, and also offers live jazz and blues, Thursday through Sunday. Les Salons d’Edgar is housed in an old movie theatre, with a dark, cosy atmosphere attracting a sophisticated crowd that appreciates a good cocktail and fine wine. Look forward to sinking into one of the comfy couches next to the warmth of the fireplace, or play a game of billiards. Maelstrom is an unpretentious speakeasy known for serving some of the best cocktails in the city – if you’re not sure what you want, the bartender will mix you up the perfect, customized drink. Le Fou bar sounds as if it would be a place for those with upturned noses, but it’s actually more of a cosy dive with offbeat décor, church house-style flooring, and an old stone fireplace within its red brick walls. It’s also a popular local hang out and offers an excellent selection of beer on tap. Deux22 is one of the city’s unique offerings, part boutique, part Mexican restaurant, and part bar. Here you can enjoy drinks, Mexican fare that’s rare in this region, and shopping. It has a fantastic year-round patio that has a permanent roof over half of it making it usable even on a rainy evening. Its Mexican-inspired menu pairs perfectly with an ice cold beer, and there are around a dozen craft varieties on draft to choose from, but its cocktails are what keep people coming back. Created to taste just like they do in Mexico, they’re simple yet remarkably delicious. Microbreweries continue to pop up in many places across the globe, and Quebec City is no exception, with a booming craft beer scene. You can try them all, with local brews in every style, and nearly 20 microbreweries in and around the city. 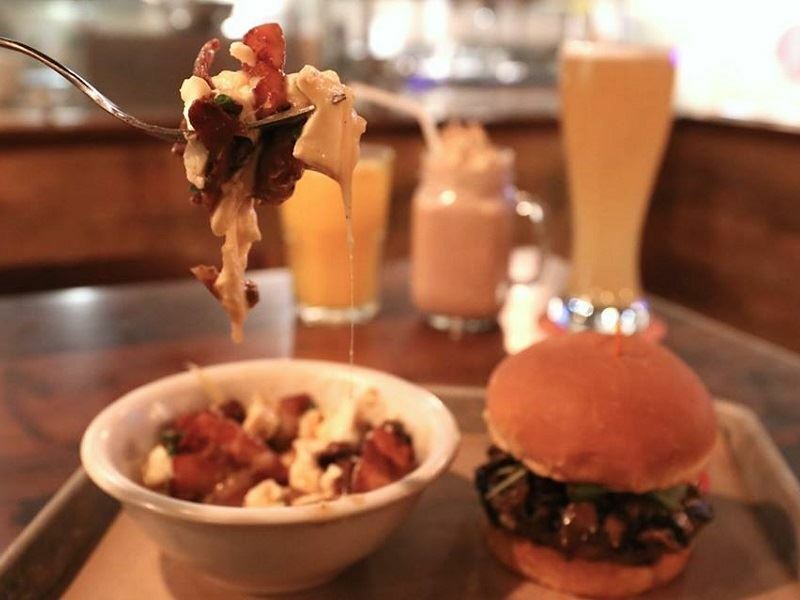 La Barberie tends to draw a very diverse crowd, attracting hipsters as well as families. A laid-back spot, it has a huge, sunny patio and a long list of beers on tap, including excellent seasonal offerings and some outstanding originals, like the Chili Amber, spicy yet delicious. If you aren’t sure what you want, order the “carousel,” which holds eight pints so that you can sample all of the available beers on tap. Whilst food isn't served, you can bring your own snacks, or even meat to grill on the communal barbecue during the warmer months of the year. La Souche makes its own blends with a lineup of more than 20 beer varieties, but it also serves beers from other microbreweries and boasts a good selection of bottled beers, along with a menu that includes those pub classics like poutine and burgers. Brasserie L’Inox is one of the oldest microbreweries in Quebec City, located in the Grande Alle, a popular tourist street. It’s considered one of the top spots to outdoor up beer by the pitcher in uptown, as well as serving tasty pub fare and boasting a great patio for people-watching. Brasserie Artisanale La Korrigane earned its outstanding reputation based on its high quality beer that’s brewed the old fashioned way. It’s a popular local hang out spot for socializing in the vibrant St-Roch neighbourhood, and also features live entertainment and light meals that are based on seasonal, local ingredients. If you can’t decide where to go, you can sample a variety of beers from some of the city’s best craft breweries by taking a tour that provides exclusive access to brewing facilities in St-Roch, a spot renowned as a must-experience for lovers of a fine brew. The excursion, available through Viator and other tour operators, includes lots of beer samplers along with snacks. Quebec City is surrounded by spectacular landscapes that include wineries and vineyards, but if you want to indulge in some great wines without leaving venturing out of town, it offers a number of wine bars for tasting. Le Moine Echanson is part restaurant, part wine bar. 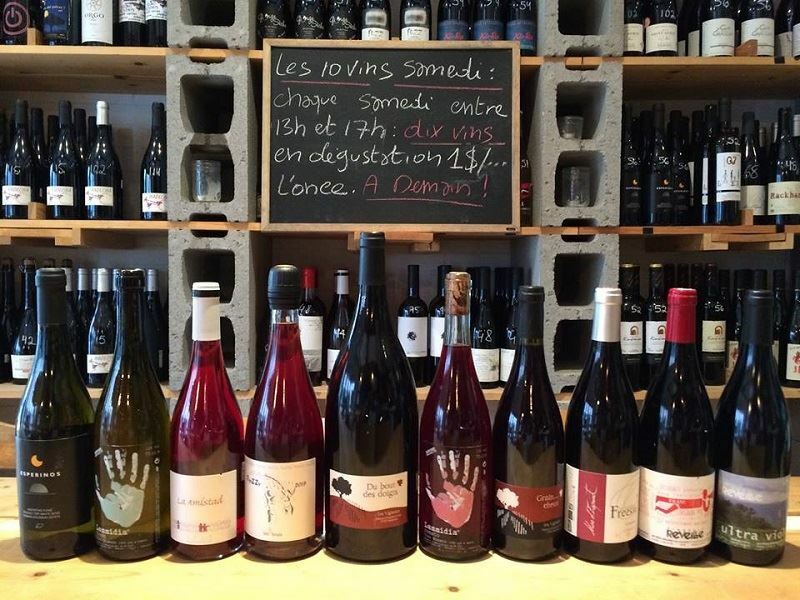 It prides itself on its French-focused wine list which features lots of organic and natural wines from all over the Mediterranean. A favourite with the city’s wine enthusiasts, the brick-walled bistro also serves up tasty main dishes like cheese fondue and blood sausage. 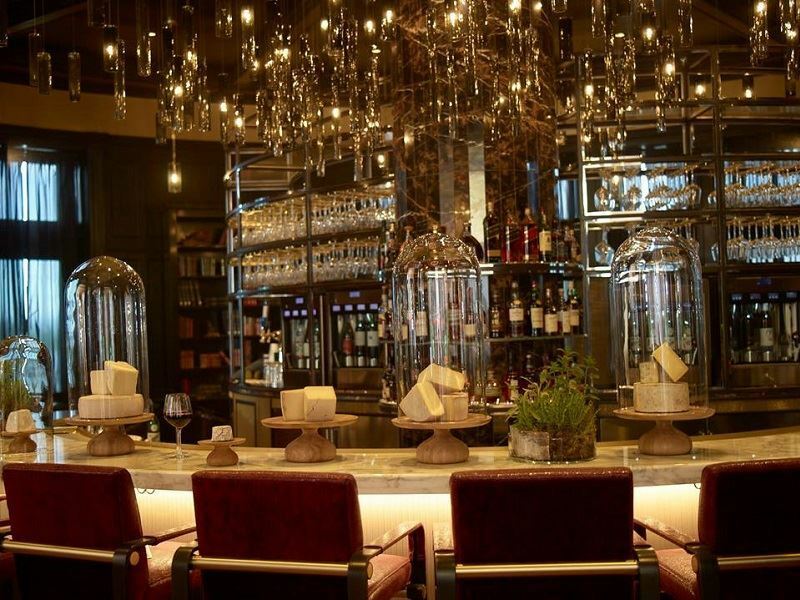 The 1608 Wine & Cheese Bar located inside the Fairmount Chateau Frontenac hotel, is located on the very site on which the city was founded, in 1608, hence its name. It offers an elegant atmosphere with a gorgeous circular central bar, a standout chandelier and rich hardwood floors, and specializes in wines from across the globe, along with small bites, charcuterie and cheeses from throughout Quebec. In fact, it’s acclaimed as having one of the largest varieties of top Quebec cheeses in the entire country. It also hosts demonstrations with sommeliers and local cheesemakers. 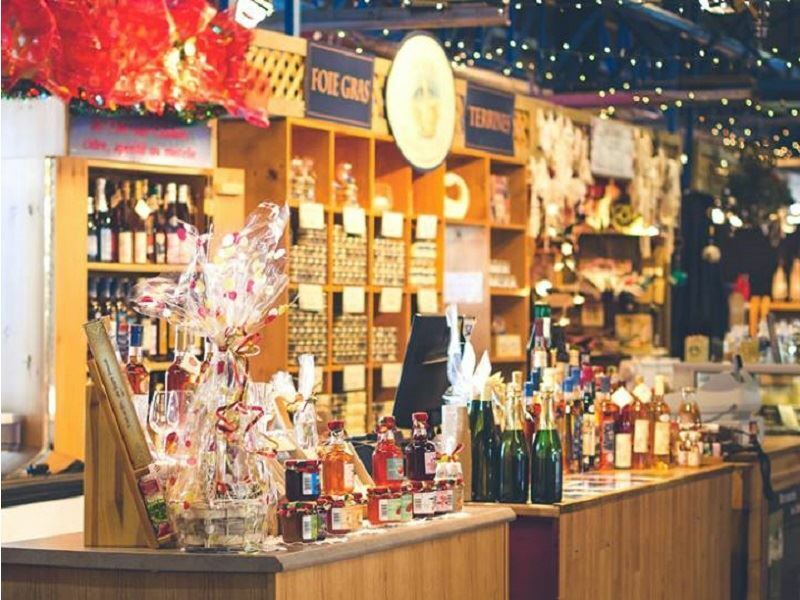 The Marche du Vieux Port Market is a massive, year-round market in the heart of the city that serves a wide variety of top quality seasonal foods and produce, including fresh fruit and vegetables, cheeses, baked goods, meats and more. Here, the apple grower/sellers don’t just sell fresh fruit, but apple cider, apple butter, ice cider and even apple brandy. Be sure to try some of the regional specialties, like maple- or apple-based items and fresh seafood, the Atlantic oysters are to-die-for. Public Market Sainte-Foy is open from May through October, and includes some 30 producers that offer a wide variety of produce and horticultural products, as well as hosting a number of shops that sell offering local gourmet products at the corner of Quatre-Bourgeois road and Roland-Beaudin.